Planned Parenthood had success engaging supporters through its Facebook Page. 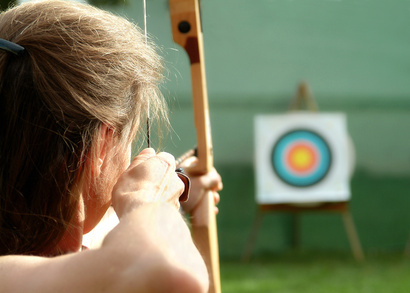 Target audience: Nonprofits, cause organizations, community managers, marketing professionals, NGOs, businesses, brands. • Planned Parenthood was able to move its Facebook fans to successfully defend the organization against legislative attacks. • MASA Israel found that including a media image (photo or video) with every wall post update increased wall post engagement. MASA Israel also developed a successful Facebook application that streamlines the program enrollment decision-making process. • The Partnership at Drugfree.org held a successful Facebook wall chat, most recently with the actress Melissa Gilbert. At the event, convened by my colleagues Michelle Perrault and Seth Giammanco at Minds On Design Lab, I talked about how to ramp up your Facebook engagement. The presentation covered understanding Facebook post engagement, matching goals to engagement, practices and ideas for designing Facebook Page, and how to measure engagement and ROE (return on engagement). Most fans never visit a Page but instead rely on the Page’s content to show up in their newsfeeds. A recent ComScore study reports that “Facebook users are 40-150 times more likely to consume branded content in the newsfeed than to visit the Fan Page itself.” However, the problem is that not all content will show up in the Top News section of the newsfeed, which is the default newsfeed setting. 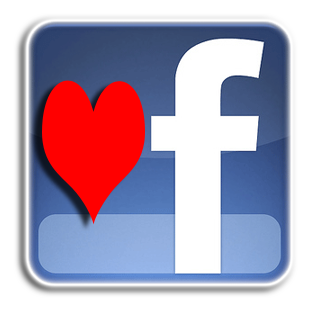 Nonprofits: Are your Facebook fans engaged? Target audience: Nonprofits, NGOs, cause organizations, social enterprises, brands, businesses, Web publishers, individuals. I‘ve been digging deep into research about Facebook fan activity lately, in preparation for a few upcoming presentations about social media return on engagement and Facebook engagement. I was delighted to find recent research about Facebook fan engagement from Michael Wu at Lithium and from comScore. Placed together, this research offers three very practical takeaways for nonprofits and brands managing Facebook fan Pages: relevant benchmarks of how deeply fans engage with Pages, the effect of fans on website visits, and how likely fans are to engage with your organization’s services or purchase items. The number of active fans per day (i.e. actively engaging) is about 3.45% of total page fans. About two-thirds of all posts do receive some activity, but it is normal to expect that around one-third will never receive comments and disappear quickly from a person’s newsfeed. Most Facebook fans are not very loyal to the fan Pages. Only about 30% of the active fans re-engage with the fan Page more than once (i.e. through posting). The probability of a fan returning to the same conversation on the fan Page is low, only about 9.6%. If a fan never interacts with your Page’s content, then the reach of the Page will never grow, either. The more interactions, the more friends of fans will see your content. This correlates to the comScore research, next. The new comScore report “The Power of Like” offers solid data on why fan activity with a Page is so important: reach. This report is focused on how people interact with the top 100 brands, with deeper analysis of a few large brands. Facebook users spend 25% of their time on Facebook interacting with their newsfeed. In May, 27 percent of engagement on Facebook.com occurred on the homepage and newsfeed, followed by profile viewing (21 percent), photo viewing (17 percent) and usage of apps and tools (10 percent). Facebook users are 40 to 150 times more likely to see branded content in the newsfeed than to visit the fan Page itself. Friends of fans is an important potential segment for organizations to reach. Friends of fans typically represent a much larger set of consumers (34 times larger, on average, for the top 100 brand pages) and may receive social media brand impressions through their Facebook friends. In the graph below, you can see that for every fan that visits Starbucks’ Facebook fan Page, 156 others see the brand Page’s updates through the newsfeed. This is part of the series 31 Day Challenge To Optimize Your Blog With Social Media. Today we’ll explore how to create an incentive for visitors to your Facebook Page to become fans. This tactic works similarly to offering a free download to email subscribers. Before we get to the technique, though, think about the last time you entered your email in exchange for a free download. If you’re like me, the value of the download was much larger than the “expense” of joining another mailing list. The same thing works with Facebook. In other words, the technique I’m about to show is worthless if you’re offering subpar content. First, here’s how the end result will function. This is day 5 of the 31 Day Challenge To Optimize Your Blog With Social Media. Yesterday we spoke about measuring stats on Twitter. Today we’ll measure stats (called Insights) on your Facebook Page only for the purpose of setting a benchmark. If you do have a Facebook Page, let’s get started. No fan growth is not good. Wall posts by fans is one the biggest indicators of engagement. Count the number of wall posts by fans only (don’t count your own).